Most European forests are primarily used for timber production. However, woodlands also offer spaces for recreation and they store carbon but it is not clear how forests can be managed for these multiple benefits. Most European forests are primarily used for timber production. However, woodlands also offer spaces for recreation and they store carbon but it is not clear how forests can be managed for these multiple benefits. A new study under the direction of the University of Bern is now showing how forestry can be improved so that wooded areas can fulfill as many services as possible. The main objective of forestry in Europe is normally timber production. That is why our forests mostly consist of a few economically valuable tree species growing in uniform stands, in which the trees are all roughly the same age. Other forests are managed for values such as habitat conservation or recreation. All of these forests have something in common: they fulfill their main purpose, but could also perform many other services much better. For example, forests also regulate our climate and store carbon. Previously, it was not clear which kind of forest management would provide the most benefits. 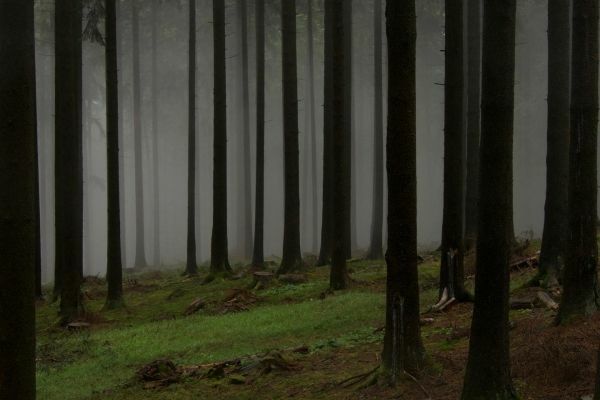 In order to see how forestry can be improved, so that the forest can perform several ecosystem services, an international research group under the direction of the University of Bern examined how different forest features affected 14 ecosystem services in Central European forests. The research consortium includes a total of 21 research institutions from Germany, Switzerland, and Austria. The study was published in Nature Communications. Earlier studies led by the University of Bern show that there is lot of opportunity for forests to supply multiple ecosystem services. However, it was not evident what characterized these forest areas. This new study looked at many different forest attributes: such as the number of tree and shrub species the forest contained, how variable its structure was and how old the trees were. The researchers then identified which of these attributes promote specific services. The study shows that forests with old trees, many different shrub species, and a heterogeneous structure, including gaps, are best able to perform many different – but not all possible – services.